The major averages were higher going into the Fed/FOMC rate decision announcement… and then they doubled their respective gains after the rate hike decision. 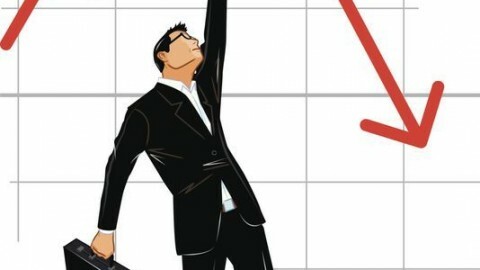 The move in the market put an end to the Jerome Powell regime market trend of declines post the FOMC rate hike decision. What brought an end to this streak of market declines once the rate hike announcement and press conference commenced? Removing 4 words from the Fed’s statement set the tone for the market: FURTHER GRADUAL RATE HIKES! Noted below is the Fed’s prepared statement on its policy and rate hikes and you’ll notice that the Fed removed the aforementioned verbiage. 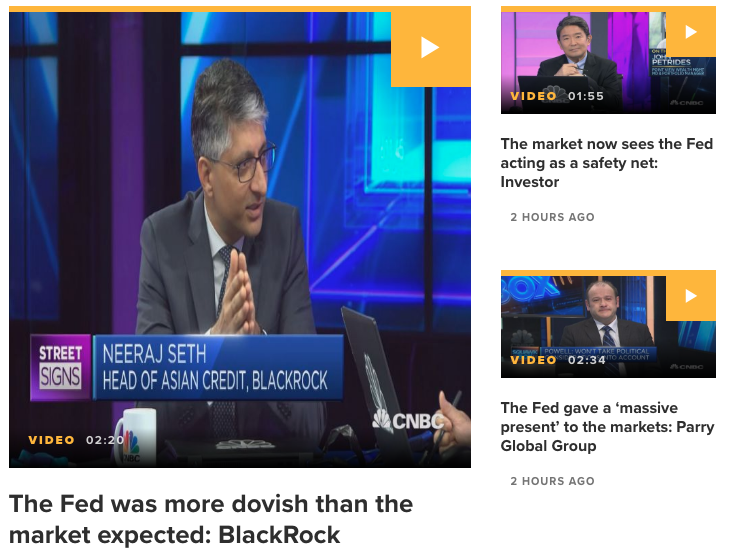 As the screenshot of headlines above suggests, the Fed has turned increasingly dovish and as represented in its latest statements and outlined further in the post-statement press conference. Neeraj Seth of BlackRock says the Federal Reserve will be on pause until the data supports a “real need” for an interest rate hike. Seth appeals to the notion that the Fed is on pause until at least June and will only hike if the data and/or conditions support doing so. Additionally, Seth stated that the Fed’s patience is tied to inflation and there simply hasn’t been any acceleration with regards to inflation and thus there is no need to tighten. 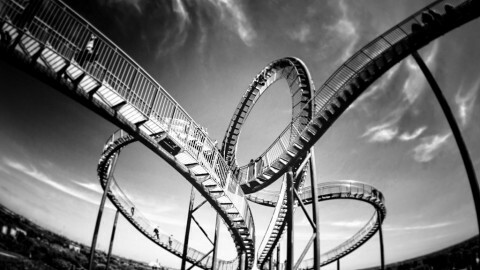 Moreover, the discussion regarding the Fed’s balance sheet naturally enveloped the FOMC press conference. Many market participants say the central bank’s “autopilot” stance is more problematic than the Fed portrays, even if the impact on financial conditions is difficult to measure. In keeping with the Fed’s long-term plan, the pace of the roll-off accelerated in increments from $10 billion a month in October 2017 to its peak of $50 billion a month last October. Economists say that as the central bank’s balance sheet shrinks, banks’ excess reserves also fall, putting upward pressure on short-term money-market rates. The fall in reserves, in turn, has spurred competition for dollar deposits, forcing banks to pay higher rates for overnight loans. That, in turn, has translated into higher yields on short-term maturities. Unfortunately, this has also translated to a flatter yield curve when combined with the Fed’s rate hikes since 2015. But one of the bigger problems for the Fed balance sheet run-off has been the U.S. Treasury. 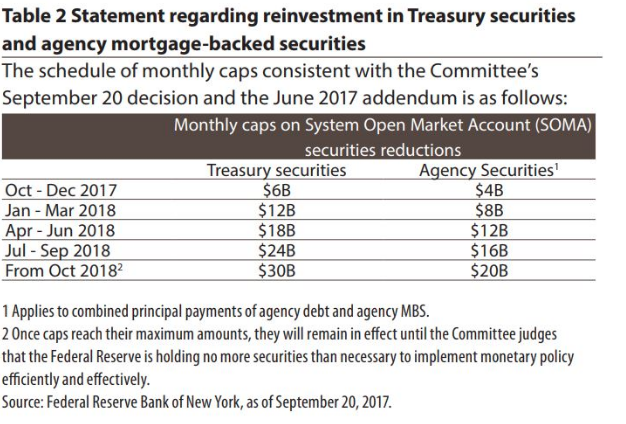 With the Congressional Budget Office forecasting deficits north of $1 trillion from 2022, the U.S. Treasury’s strategy of relying on the sales of shorter-dated bonds to fund the government has exacerbated the rise in short-term yields. Not everyone shares Klevan’s understanding however as they don’t see the Fed’s balance sheet activity as feeding through to the economy. “The impact of this shift is marginal and fairly localized in U.S. money markets,” wrote analysts at UBS. 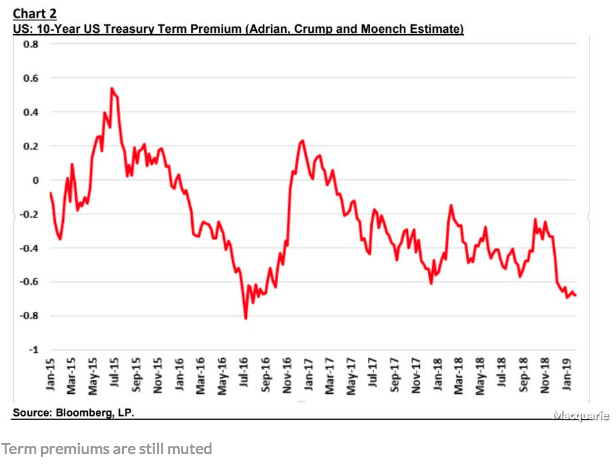 All we’ve heard for the last 2-3 years from analysts was that the Fed’s bond-buying was to blame for inflating prices of risky assets by pulling the risk-free yields of Treasurys so low that investors sought richer returns in riskier assets such as stocks and corporate bonds. It stood to reason, then, that the shrinking balance sheet would hurt equities by pushing long-term yields for government paper higher. But look at the long-term yields on Treasurys?? Simply put, no matter what the Fed/FOMC has ever done, they have not been able to sustain higher yields for longer-term government paper. It’s literally an impossibility. Not since the policy errors of the 1980’s has an expansion cycle been able to achieve the previous expansion cycle yield highs. Yields do nothing but go down over time, regardless of Fed policy and/or programs. As shown in the chart above and since 2015, blips in the 10-year Treasury yield can occur, but they can’t be sustained. This chart can quite literally be expanded to the genesis of the 10-year Treasury, depicting the same outcome. 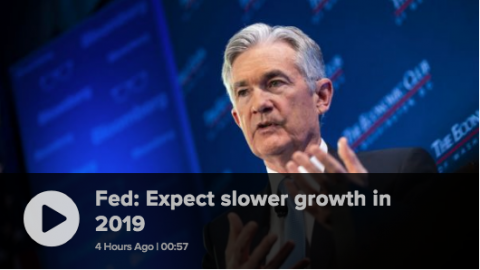 When it was all said and done, Chairman Jerome Powell outlined that economic growth was steady, employment was strong, inflation was tamed, they remain patient and they are open to changing the course of the balance sheet run-off if conditions warrant doing so. And to sum it up, the Fed hinted that it may be at the end of its rate-hike cycle and indicated that its efforts to reduce the $4 trillion asset portfolio could end sooner than expected. Investors and traders are going to hear a lot about the Fed caving to the market and political pressures in the wake of its increasingly dovish stance. But the reality is that this was always going to be the natural retrenching from a rate hike cycle. There’s simply no catalyst for inflation, like it or not that is one of the Fed’s mandates, political pressures be darned! There’s just no reason to hike rates at this point, regardless of what the stock market is/has done. Beyond the reach of Fed criticism and critique came after hours earnings from Facebook (FB). On the heels of better than expected results from Apple Inc. (AAPL) and an already rising share price intraday, Facebook earnings release was found with headline competition. Nonetheless, the company beat expectations mightily and despite the naysayers. Facebook reported $6.88 billion in net income for the fourth quarter, which amounts to $2.38 a share, up from $1.44 a share in the year-ago period. 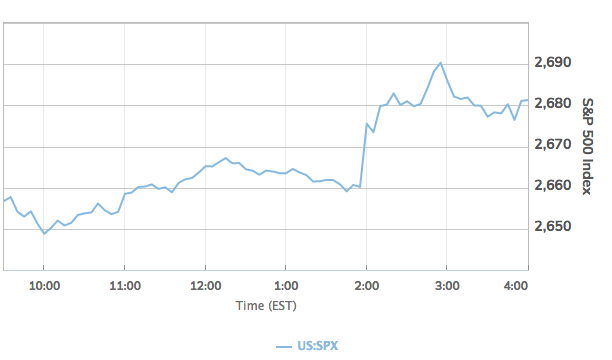 Analysts’ average estimates for fourth-quarter profits called for $2.18 a share, according to FactSet. Overall, Facebook logged sales of $16.91 billion, up from $12.97 billion in the year-ago period, beating Wall Street expectations for sales of $16.39 billion, according to FactSet. Facebook’s main source of revenue is ads, which brought in 93% of revenue, up from 89% in the year-earlier period. Facebook’s payments and other fees category, which includes its Oculus virtual-reality hardware, banked $274 million compared with $193 million last year. Facebook now has over 2.7 billion users on its platform, demonstrating that privacy and data sharing headline concerns were clearly overblown and found without merit, as it pertains to negatively impacting the business operations growth trajectory. 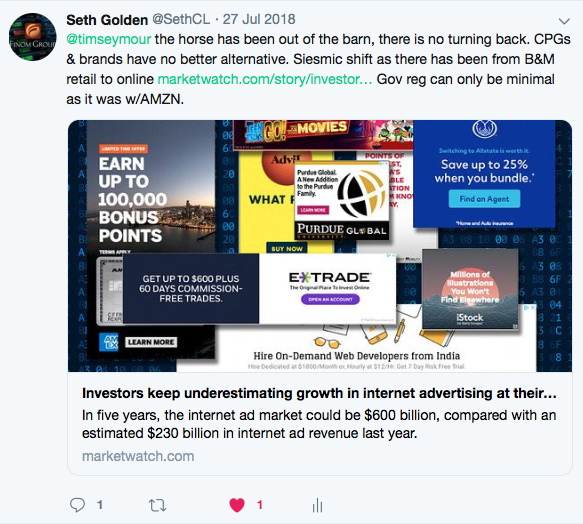 Back in July of 2018, CNBC’s Tim Seymour was slamming Facebook, implying that users would leave the platform and regulation costs would be too much to overcome for the company, weighing on profits. Finom Group’s chief market strategist Seth Golden offered Seymour the following response. Tim Seymour had been short FB shares and likely did very well as the share price plunged through the back half of 2018. Based on the latest quarterly results out of Facebook, what Seymour demonstrated in his trade on FB shares was that your trade thesis could be absolutely, 100% inaccurate, but still found profitable. 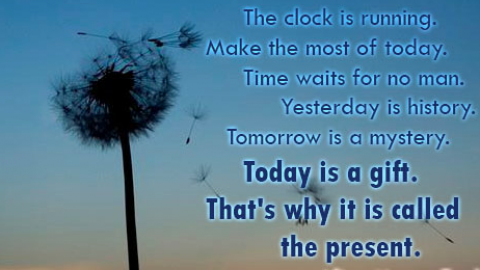 Better to be lucky than good sometimes as they say! In addition to the Fed and Facebook results, we continued to see the continuation of strong labor and employment data. 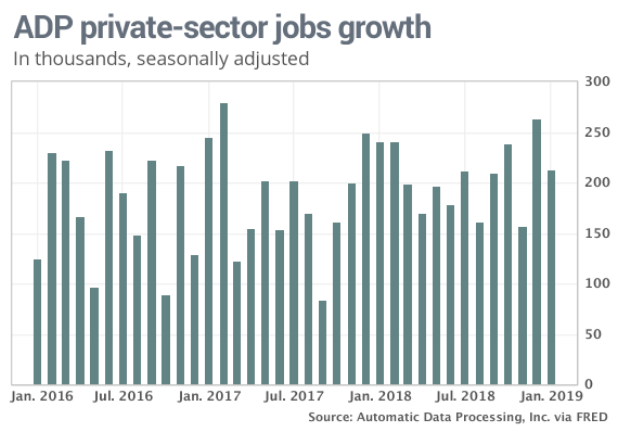 Companies in the U.S. added 213,000 jobs in January, ADP reported Wednesday, another strong reading that suggests little letdown in a steadily growing economy. Wall Street economists had forecast an increase of 174,000. The ADP report is usually a harbinger of what is to come from the all-important Nonfarm Payroll report. The U.S. probably added 174,000 new jobs in January according to economists’ estimates, with the unemployment rate sticking to 3.9 percent. The Labor Department’s report, which comes out Friday at 8:30 a.m. Eastern Time, includes government as well as private-sector workers. 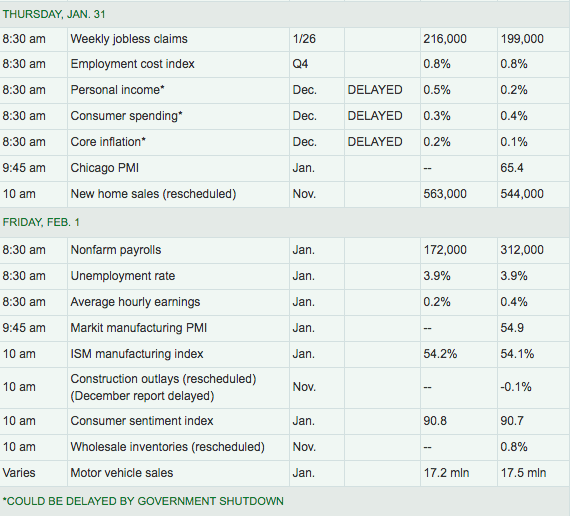 The following table outlines the economic data slated to be released through Friday. 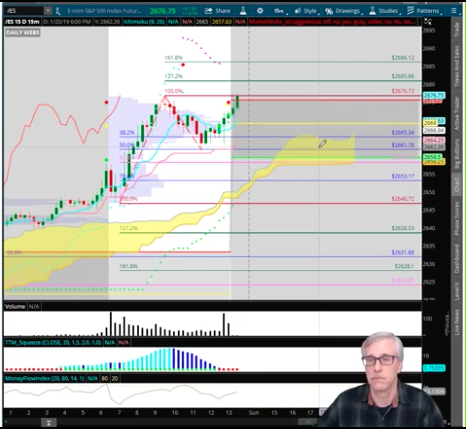 Last week, Finom Group’s resident technical analyst Wayne Nelson forecasted the probability of AMZN shares climbing to and achieving $1,700 per share. 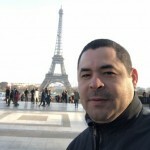 In the pre-market Thursday, the share price achieved his forecast, as the FAANG Index has soared on the heels of Apple and Facebook results. 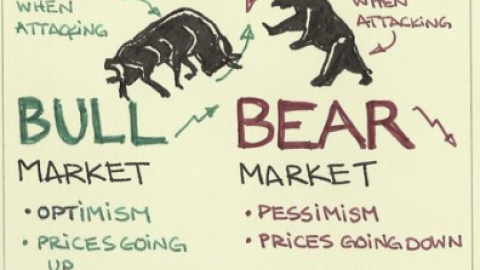 With Nelson’s analysis proving prescient, we encourage readers to review his daily, technical market recap here. 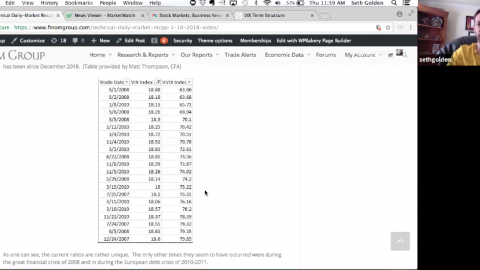 Click the link to discover his latest views and technical analysis on the major indices. 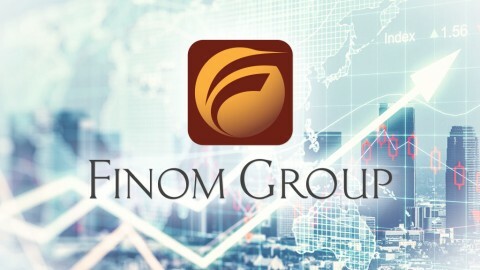 Additionally and as a reminder, Finom Group’s State of the Market video will be available to our Premium and Contributor subscribers this evening. 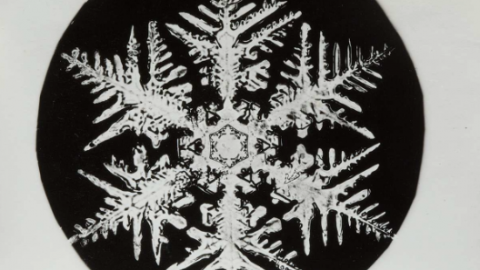 Be sure to check back to hear all of our thoughts and forecasts concerning the macro and micro fundamentals underlying the market. Hahahahah but a lot of people want that for some reason.